I have serial number 2000002. Is it worth any money yet? Is it worth any money yet? I just bought the new power probe IV. Still on the fence if it was worth the 300$ some odd it cost me. Nothing beats a good old multimeter, test lamp and good old sherlock holmes theory. If that "what quits first" tool was given to me, I might take a look at it. I know Dave really says its a good addition to a tool box. But I can really not give a good apraisal of said tool. 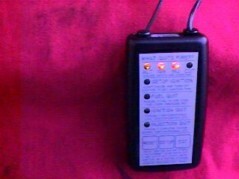 Like I wrote above, the power probe 4 is still like new, seems my old 40ish head doesn'n't like it. Then you should remember shortly after that, Bruce held a BAT Auto give away for the member mechanics for one of these units prior to Snap On branding. I was the lucky duck. don't even tlk to me about a snap om truck. I was the lucky duck. does it actually do what is written in the video or box? BTW, guys, I have a shyte load of crafstmen tool to warranty, but sears foreclosed last year here in canada. Do I just throw them out? Or can one of you USA guy's help me out. Ya got Ace hardware up there? I believe Stanley bought the Craftsman line. Ace will replace if they carry the exact item. Dunno, never took it out of the box. If I used my what quits once or twice a year it was alot but for those jobs that quit every couple of months away from the shop it was invaluable. At 200 new when I bought it was good deal but not what Snappy wanted for them!! And when Bruce wrote that piece he was running his own shop specializing in electric repairs others could not fix/got turned away. Learned alot from him!! I can just hope someone says that about me one day when I am old like you farts. I'll trade you for legal Canadian weed! !.